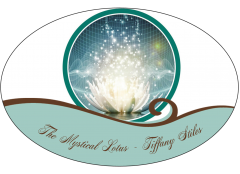 Empath Guidance and Empowerment Oracle Cards App by Tiffany Stiles! I have been counseling Empaths (energy sensitives) for years, and in doing so I was inspired to create the Empath Guidance and Empowerment Oracle Cards app. There are 45 cards within the app that include pictures to each card as shown above in the image. … Continue reading Empath Guidance and Empowerment Oracle Cards App! We are never alone. In our darkest times or brightest days we are surrounded by guides and angels who will come help and guide us. All you have to do is ask. During any kind of spiritual work, meditation, or just doing every day things, you can call upon your spirit guardians for assistance and guidance. Here is a list of the Archangels and their corresponding crystals, sign, scents, flowers, and attributes. Archangels serve as guardians for our entire planet. Angels are messengers from the Divine, and as such, they will work with ANYONE who asks. You don’t have to be of a certain religion and you don’t have to be religious or spiritual to ask for angelic assistance. They are there to help everyone and that is their MISSION. They do not make exceptions. Be still, take deep breaths and relax as you breathe.